Meticulous modern composition and analog production for the highest sound quality features only authentic instruments from the 70's heyday of progressive rock: Guitar, Hammond B3, Mellotron, analog synthesizers, bass, symphonic percussion, and drums. 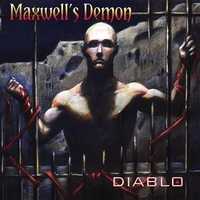 Diablo is an instrumental concept album representing a widely varying emotional journey through mental hardship and eventual recovery. Eight years in the making, there were absolutely no artistic compromises made for expediency, expense, poor equipment, or some hopeless fantasy of big sales. This album was made by the band, for the band, and the few remaining fans of authentic progressive rock who want to be challenged, and are willing to explore this difficult yet rewarding music over many undistracted listenings. You know who you are.